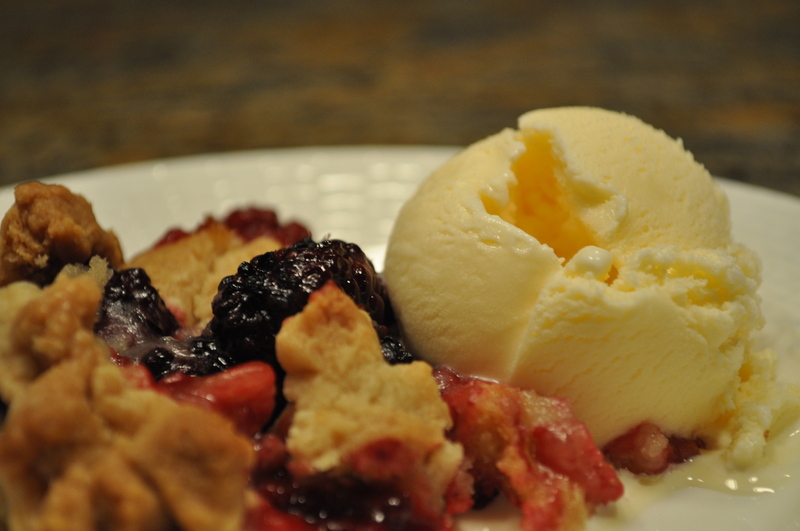 This one falls under “super easy & delicious” (and, other than the berries, absolutely not healthy!). But… absolutely worth the splurge. The recipe isn’t written down; just in my head so these are approximates (okay to add / subtract with a recipe like this). 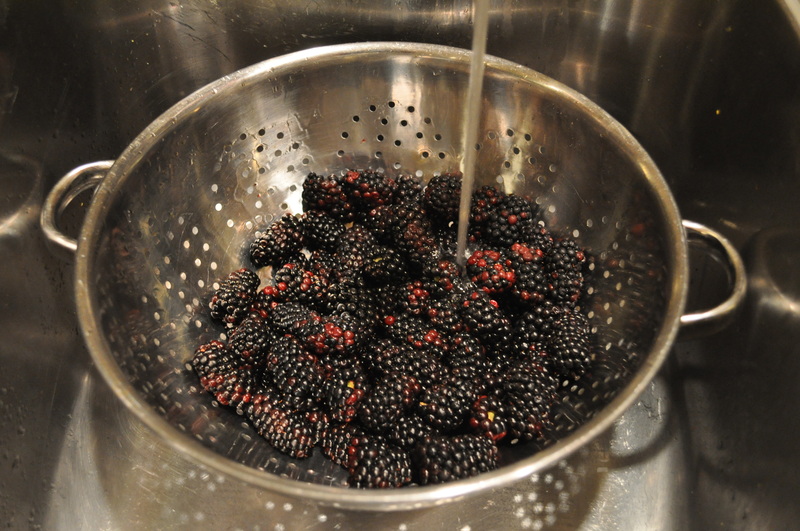 STEP 1: Rinse blackberries & drain. 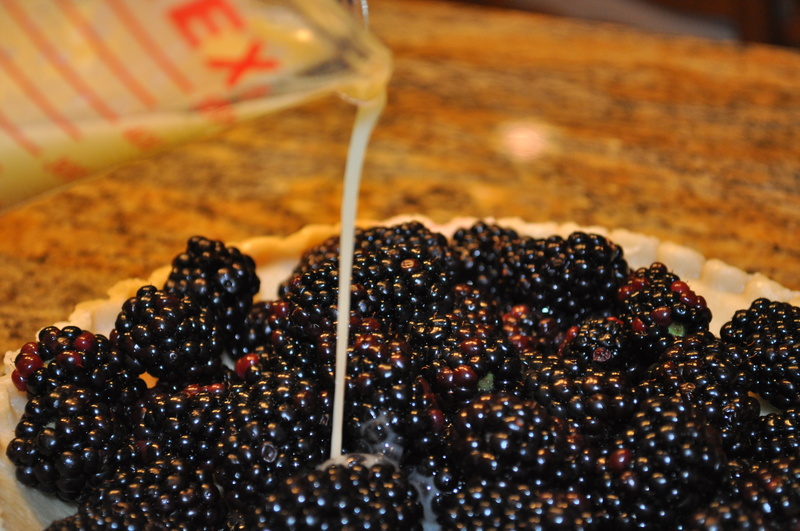 STEP 2: Place berries into one of the pie shells; cut strips out of the other pie shell (to make lattice topping). STEP 3: Melt 1/2 of the stick of butter. (Save the other half for later.) 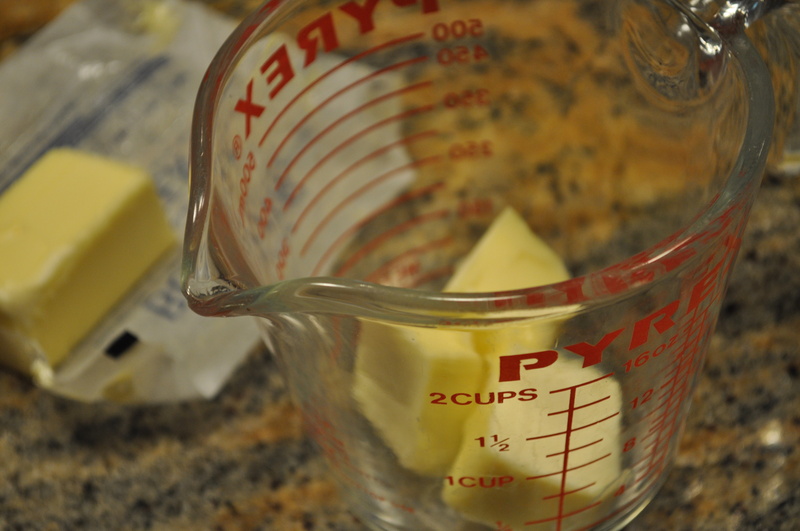 TIP: I use a glass, 2-c measuring cup to melt the butter (in microwave) AND ALSO to mix ingredients in STEP 4 – less to wash! STEP 4: Mix granulated sugar into the melted butter. Stir in flour and then water. Pour mixture over berries. 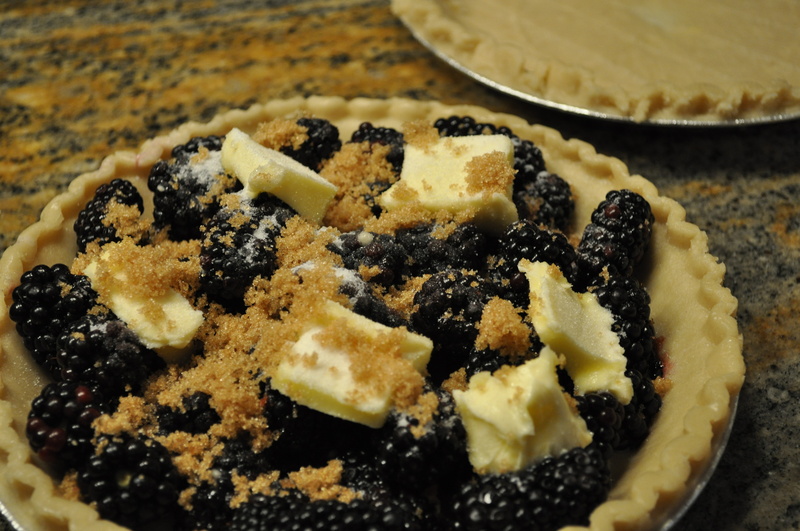 STEP 5: Cut remaining butter into 5 or 6 pieces and place on top of berries. Then, sprinkle 1/4 C of brown sugar on berries. 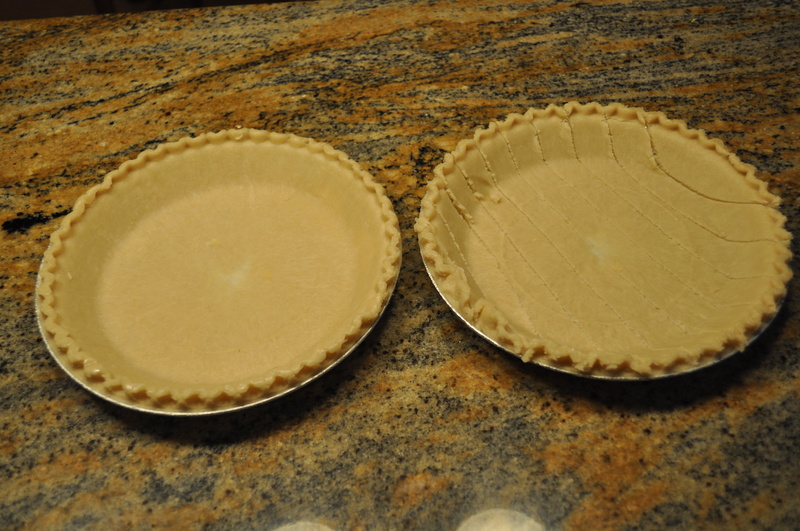 STEP 6: Take the strips cut from other pie shell and crisscross (the best you can!) the pieces over the top. (I do this pretty quickly – usually the strips tear when I do it and so I’ll just mash them together as needed.) Then, sprinkle remaining brown sugar on top. 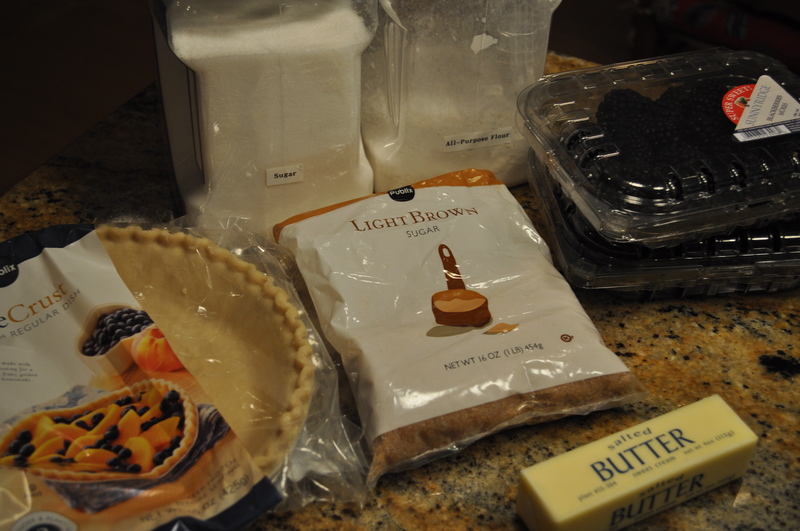 Ready for baking! 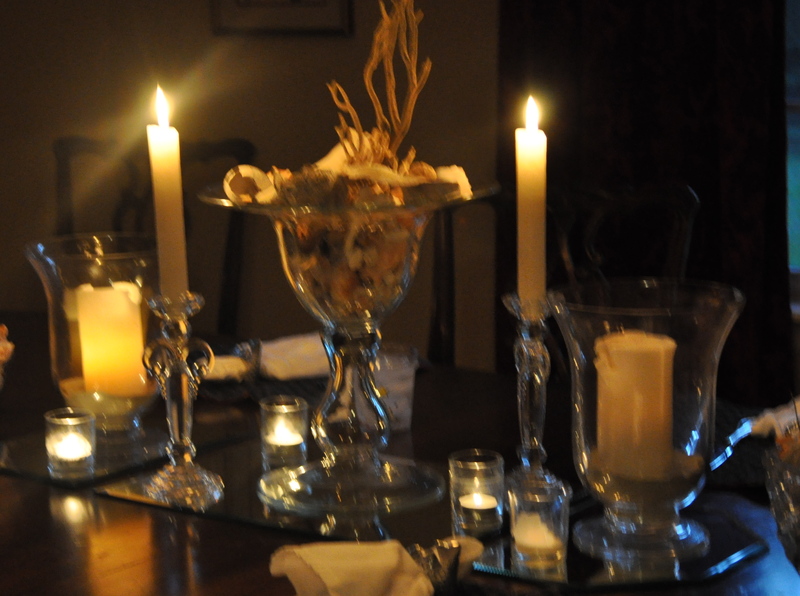 I don't spent too much time with the lattice part - as you can see. It'll look great when baked - and taste even better! 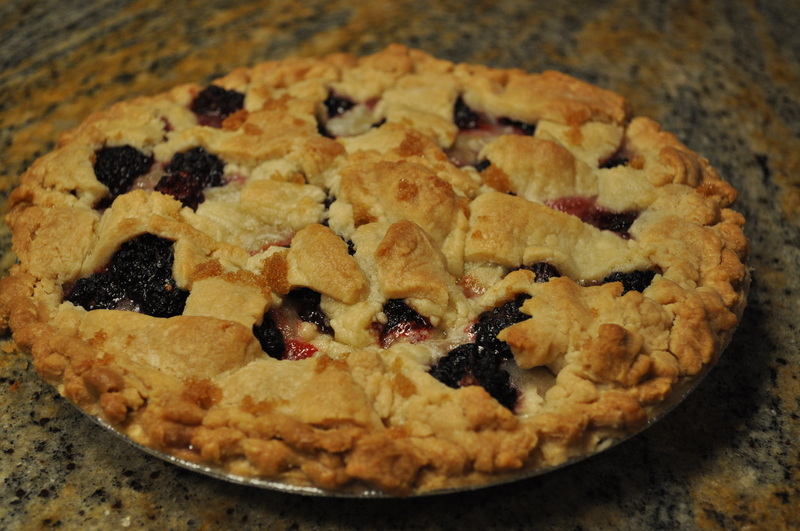 STEP 7: Bake at 350 degrees for about one hour (berries don’t require quite as much time baking as apples, for instance). TIP: Place a pan on rack below to catch drippings. 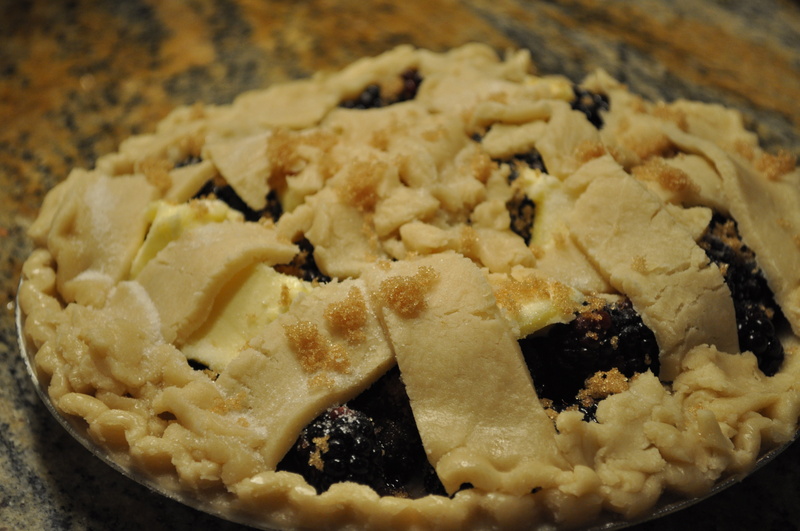 Note: Sometimes pie recipes call for the crust along perimeter to be covered with foil for half of baking time (since this part tends to brown quicker than middle part – but I didn’t do for this one). STEP 8: Enjoy!!! Preferably with a scoop of vanilla ice cream. I absolutely L O V E the hot & cold combo!!! Easy, stylish ways to remember your vacation – without the souvenir-y clutter! NATURE: Looking for shells* (there are 3 kinds I specifically look for) is my equivalent to an Easter egg hunt. My favorites are in a glass container right here on my desk. BTW, I’m sure our beach vacations would probably bore some to tears. We’re all different which is a wonderfully good thing!